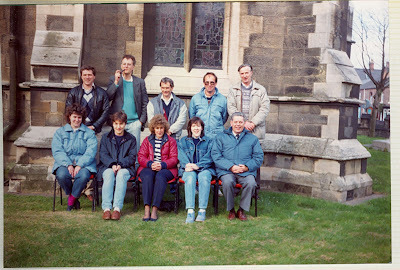 The Lichfield Archdeaconry Society band. 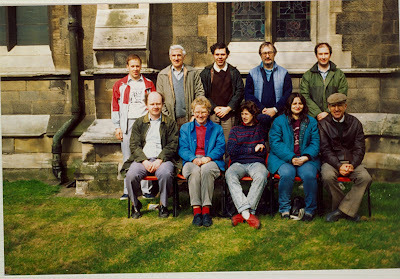 L to R (back): David Webb, Gordon Chaddock, William Hall, Stuart Hutchieson, Martyn Read; (front): Amanda Butcher, Gail Baggott, Philip Ramsbottom, Richard Lycett, Philip Johnson. The Lichfield Archdeaconry Society became the proud holders of the W. W. Worthington Memorial Trophy on Saturday 7th April beating seven other bands at this annual competition. This year’s competition saw teams from as far away as North Yorkshire and Norfolk competing, both entering for the first time. The Reverend Morris, vicar of St. Paul’s, Burton-on- Trent, opened the proceedings by welcoming those present and making the draw for the order of ringing. 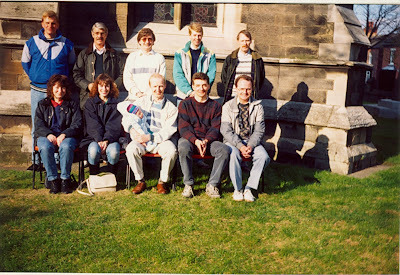 The team from Yorkshire had the dubious pleasure of batting first whilst the rest of the competitors enjoyed general ringing at Tutbury (8), Horninglow (6) and Stretton (6) or indulged in light refreshments provided by the ladies of St. Paul’s. This year’s test piece was 431 Grandsire Caters with only the last three courses being marked, slightly longer in length than previous pieces but it was negotiated competently by all the bands. Perhaps we will have to ring something a little more taxing next year. The judges for this year’s competition were Mr. & Mrs. Orme from Cambridge. Their late arrival did have the organiser looking for alternative masochists at one stage, but thankfully they were in place by 2 p.m. in the confines of the offices of Wright and Partners, architects, above the headquarters of the local conservative party; an excellent vantage point that has been used from the inception of the competition. Four hours is a long time to sit and listen to ringing and maintain a consistent standard of judgement, we can only admire such volunteers for their willingness to undertake such a task and then deliver their results in front of eight teams who all think they have won. At 6.30 p.m., after some deliberation, the judges entered St. Paul’s church room. Philip Orme commented on the day’s performances, particularly the variation of ringing speeds from 3 hours 6 minutes to 3 hours 41 minutes for a peal. He hoped that they had not been influenced by the different speeds and styles of ringing but had judged the performances on striking errors. The faults for each band were given as follows: 1st-Lichfield Archdeaconry Society (110); 2nd-Midland Counties Guild (158); 3rd-Derby Diocesan Association (183); 4th-North Staffordshire Association (192); 5th-Norwich Diocesan Association (197); 6th-Worcestershire and Districts Association (216); 7th-Shropshire Association (252); 8th-Yorkshire Association (North Yorks Branch) (258). The Worthington Cup was presented to Martyn Reed of the winning team who received it in slight amazement that the Lichfield Society had been successful and won the trophy at their sixth attempt; but nevertheless delighted that they had done so. Thanks were expressed to all those who had made the day another enjoyable one at Burton. Even the weather had allowed the resident photographer out of doors. Next year’s competition will be held on Saturday 23rd March – book early! 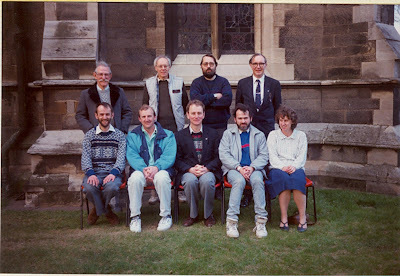 Alan S Burbidge, Gordon H Lane, Andrew E Else, Derek P Jones, Stuart W Hale, Malcolm Quimby, Richard Barnett, Richard J Chantler, Elaine Wright, Mary Hale. 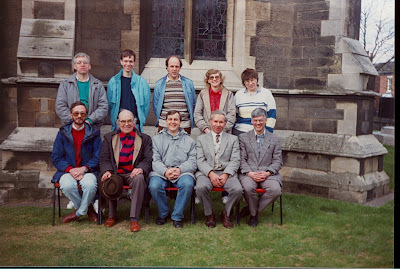 Selwyn G Jones, Ian Friend, Michael Wilshaw, Ralph B Mitchell, Timothy C Hine, Margaret Jones, Raymond Ballard, Philip W Gay, Harold Dowler, Norman Sherratt. 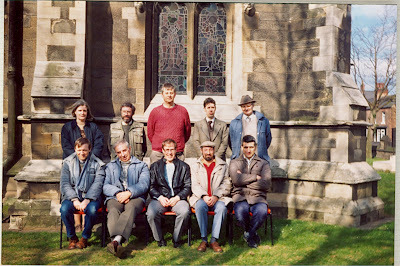 Dawn V A Offen, Richard C Offen, John D Neal, R F Philip Cleaver, Stephen A Elwell-Sutton, Frederick M Mitchell, Brian S B Kear, Alan M Glover, T John Frodsham.